It’s not uncommon for people to confuse Alzheimer’s disease with dementia. Even though they have similar symptoms, there are many differences between the two that you should be aware of, especially if you are a caregiver of someone who’s living with one or the other. Here we’ll outline how the two diagnoses are both similar and remarkably different. So far, neither Alzheimer’s or dementia can be prevented with certainty. You can, however, reduce your chances of developing either of these by eating healthy, staying active, and continuing to learn and challenge your brain. The chances of developing Alzheimer’s and dementia increase as you age — although they are more common among the elderly, they are not considered a regular part of the ageing process. Dementia is not considered a disease. In fact, it’s a general term that describes symptoms associated with memory loss and thinking skills. The symptoms are caused by actual diseases like Alzheimer’s. Dementia can be caused by a variety of diseases and illnesses. Some are treatable while others, like Alzheimer’s, are not. Treatable causes include metabolic disorders, strokes, blood clots, nutritional deficiencies, substance abuse, exposure to heavy metals, and untreated infections. The earliest symptom of dementia is memory loss. Forgetting appointments, where you left your keys, what day of the week it is, and turning off the stove are a few common signs. Personality changes will be frequent as well as speaking difficulties and coordination issues. As a degenerative disease, Alzheimer’s develops slowly and in various stages. Early stage symptoms include disorientation, memory problems, and depression. Middle stage symptoms include hallucinations, paranoia, eating difficulties, and complications performing regular activities, like reading and writing. With late-stage symptoms, you’ll notice the inability to recognize family and friends and problems walking, talking, and even swallowing, therefore requiring around the clock care. To date, there is no known cure yet for Alzheimer’s — treatment focuses on slowing the progression of the disease. However, with dementia, some patients can be treated and even cured (depending on the underlying cause[s]). 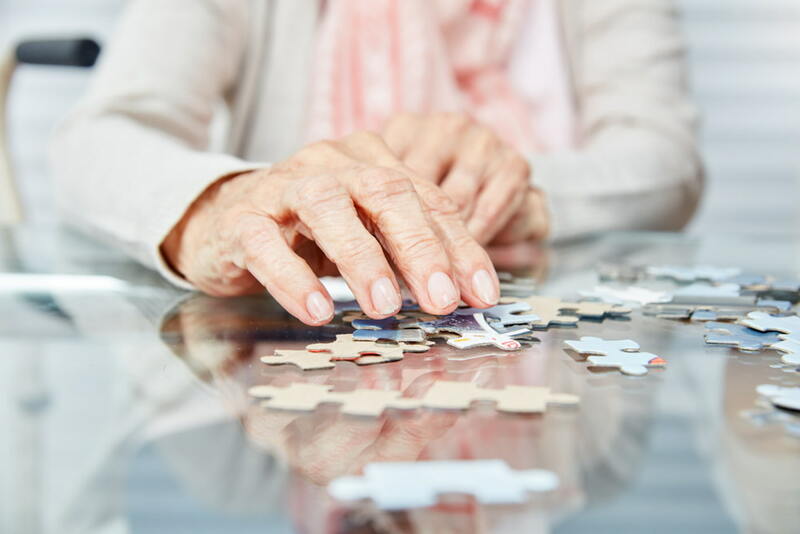 Alzheimer’s disease and dementia are often mixed up and can cause confusion for patients, families, and caregivers alike. Fortunately, you can rely on us at C-Care Health Services to assist you and your family when it comes to dealing with the symptoms. We can provide private hospital or retirement facility care, home care, and even palliative care for your loved one. Whether you need a couple hours of monitoring a day for early-stage Alzheimer’s or full round-the-clock care, we offer flexible scheduling to provide the extra support you need. To learn more, contact us today.